Experience: States place a premium on military experience, and veterans often find that state police agencies are a great fit when they transition to civilian life. Working as a military police officer or in another law enforcement or security-related field while serving in the armed forces can be very beneficial. Testing/Basic Abilities: You'll likely be required to take a basic abilities test to determine your capacity to do the job and measure your likelihood of success in the police academy. The purpose of the test is to make sure you have the critical thinking and comprehension skills necessary to work in law enforcement. Testing/Psychological Exam: The law enforcement psychological exam consists of a battery of personality profiles and other assessment tools. 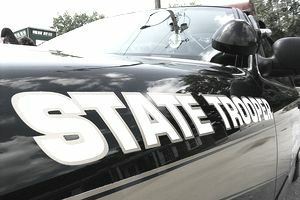 Psychologists use the exam to advise state police and highway patrols whether an applicant would be a good fit for the job. The exam measures honesty, maturity, intelligence, and ability to handle pressure or stress. Potential health concerns and other inherent dangers are associated with the job as well. The illness and injury rates in this profession are among the highest of any career. Dealing daily with the misfortune of others and untimely deaths can be particularly stressful and affect troopers emotionally as well. This is almost always full-time work, and it can include long and irregular hours. Shift work is common because state police forces can't turn out the lights and call it a night at the end of a long day, leaving the public unprotected.